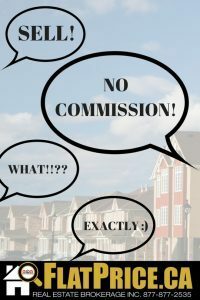 There is no commission. We simply charge a flat advertising fee (depending on your location) based on the marketing services provided. The fee is based on our cost of posting your property on a local real estate board plus the logistics associated with advertising your property and distributing it across our network to additional sites like: HomeSalez.com Canada’s private sale real estate classifieds network! Kijiji.ca, Craigslist.org, Trovit.ca, Vast.com and other partners and to social media giants Facebook.com, Twitter.com and Pinterest.com.